No other driving school takes the same approach as us in Coill Dubh. Our years of experience has taught us that you the student are only as good as the teacher. Which is why we continually train and upskill our instructors to not only give you the best driving lesson experience there is to be had in Coill Dubh but also to give you a calm relaxed environment to learn in. You will never see our instructors lose their cool. Taking one or two driving lessons a week in Coill Dubh is often not enough for some students. Wouldn't it be great if you had an instructor with you 24/7? Unfortunately that's not possible which is why we developed our own support and training material for you to study between your lessons, giving you more bang for your buck. When it comes to value no other driving school in Coill Dubh can offer what we do to our pupils. With our free home study support material you'll be prepared for every lesson and develop faster as a driver than with any other driving school. Lessons come and go fast and it is easy to forget what you have learned. Our extra lesson material means you can follow up on what was covered before the next lesson ensuring you don't waste time and money going over the same things. First you must master the rules of the road, the road signs and skills involved to control a car safely. And then there is learning to pass the driving test. Being allowed to drive by yourself on Coill Dubh roads is a right you will need to earn and the driving test is your opportunity to do it. And naturally, as with any test, if you understand the conditions and what to expect you can pass easily. Your Coill Dubh driving lesson can come and go in what feels like a heartbeat. It's stressful for many and hard to retain all that information. But we don't leave you high and dry. To help you develop fast and help you remember all the driving techniques our instructors teach, we have created our own exclusive home study driver training course delivered straight to your inbox to guide you through your EDT to the test. Why? Because not all driving schools are made equal. 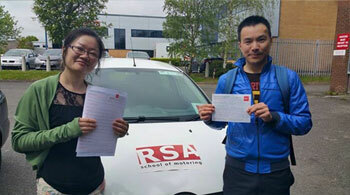 There is no avoiding the fact that you need to supply a car in which to take your driving test. And we can help. Hiring a modern driving school car for the test demonstrates to the driving examiner that you mean business. So why not book one of our pretest car hire bundles and prepare for your test like a pro. We all remember the exciting engaging teacher in school that made learning easy and fun. And then we had the opposite, those teachers that had no place in the classroom. Not all teachers are made equal and that is certainly no less real with approved driving instructors. It's not as straightforward as searching 'Driving Lessons Coill Dubh' and choosing the first driving school you find. Who can you believe in to offer you that enjoyable and engaging experience? 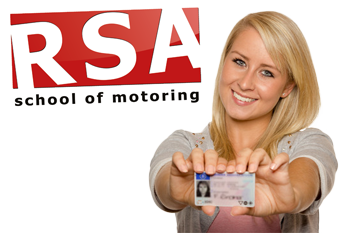 We have helped countless pupils pass the test so before you carry on your search we urge you to consider RSA School of Motoring for your driver training in Coill Dubh. Read on to understand why. Looking for a female driving instructor for your driving lessons? No problem. We have female driving instructors all over Coill Dubh ready to help you complete your EDT and pass the driving test. Driving automatic is becoming increasingly more popular and we are happy to say that we can offer all our students automatic driving lessons anywhere in Coill Dubh. Give us a call today and we’ll get you booked in with your nearest automatic instructor. So what are you waiting for? Our Coill Dubh driving instructors would be proud to teach you to drive so call us today. You'll be very glad you did.